"This documentary is populated with experts on law enforcement, psychology, child development, the courts, and drug treatment programs [who] argue for treating nonviolent offenders in nonprison remediation programs, including literacy training, job-skill development, drug treatment, and medical services... Informative and articulate, [the] film should appeal to law enforcement and corrections professionals and students of prison reform." "It's More Expensive to Do Nothing makes a compelling case." "As one who has succumbed to the evils of drug addiction and subsequent incarceration, I can attest to the passionate message of It's More Expensive to Do Nothing. A must-see documentary!" "When we provide treatment, we can cut recidivism rates down 25, 35, sometimes 40 percent." "It makes long-term economic sense to take care of these people in a humane way, and help them heal." Alan Swyer's wide-ranging career in the film industry has included writing, producing, and directing. He has also lent his talent to music, stage, and academics, serving on the faculties of the American Film Institute, USC, and Pepperdine University. Two recent documentaries written and directed by Mr. Swyer have garnered international attention: Béisbol: Yesterday, Today and Tomorrow, narrated by Andy Garcia, is the definitive look at the contributions of Latinos to the world of baseball and the winner of the 2009 Imagen Award for best feature-length documentary; Spiritual Revolution illuminates Eastern spirituality in the Western world, and has played at festivals in France, Thailand, Maui, Northern California, Nashville, and Houston. Mr. Swyer cowrote and directed the 2002 thriller Time of Fear, starring Nick Mancuso; additional filmwriting credits include Alfred Hitchcock Presents, The Buddy Holly Story, and HBO's Rebound, starring Don Cheadle, Forrest Whitaker, and James Earl Jones. An activist of note, Mr. Swyer played a role in the creation of the Los Angeles Teen Court, an early intervention program for first-time juvenile offenders. Humane Exposures Films is an affiliate of Humane Exposures, founded in 1997 by photojournalist Susan Madden Lankford in an effort to increase public awareness of the needs and challenges of America's disenfranchised, emphasizing that the economic burden on society is lightened when crucial social issues are addressed. 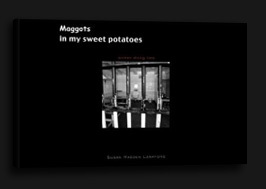 Humane Exposures Publishing, the sister company to Humane Exposures Films, has published two award-winning books on homelessness and criminal justice—Maggots in My Sweet Potatoes: Women Doing Time and DownTown U.S.A.: A Personal Journey with the Homeless. It's More Expensive to Do Nothing is Humane Exposures Films' first feature-length documentary. 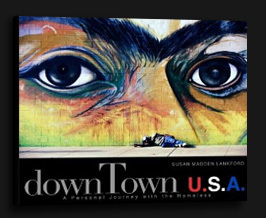 Founder of Humane Exposures and the author of Maggots in My Sweet Potatoes and DownTown U.S.A., Susan Lankford worked as a successful wildlife photographer and portrait artist before turning her attention to social issues. Her interactions with San Diego's homeless and the inmates of a women's detention center led to invaluable contacts in the world of criminal justice and remediation, and the search for solutions to the current crisis in American prisons.